Over the past few months, Chaos Created has been busy running app development workshops, alongside Liz Rice from TankTop TV. 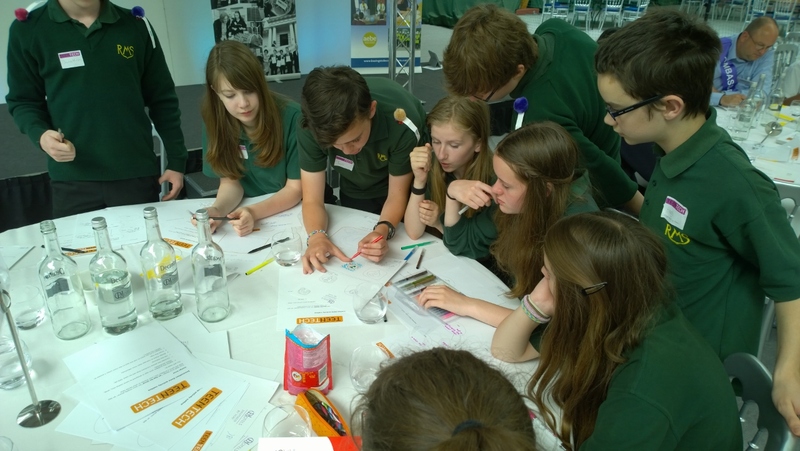 We’ve been speaking at TeenTech events throughout the UK, sharing our experiences of making apps for phones and tablets, and working with over 300 teenagers each day on developing their app ideas as part of TeenTech’s Innovation Zone. Some of the ideas that the teenagers, in their groups, have come up with have been amazing, even to those of us that work on apps professionally (Liz and I constantly struggle choosing winners for each of the six awards at each event). And seeing the teenagers confidently pitching their ideas to their peers (and to us, as “judges”) has been enjoyable to watch. A school in South Wales actually pitched an idea very close to something we’re working on! We reached out to them, and we’re going to be visiting the school later in the year, when we’re closer to launch, to let them test our app, and get involved with adding some features. These events have been really enjoyable for us, and we’re looking forward to presenting at TeenTech in Humber in a few weeks time, and getting cracking on a whole new year of events this September – it’s one of the most rewarding things we’re involved with. 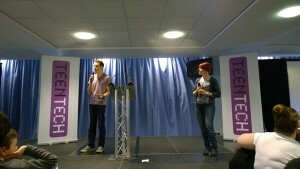 Find out more about TeenTech at http://www.teentechevent.com. Read more about the workshops we offer to schools at http://code.chaoscreated.com.